Trying to weight up the advantages and disadvantages of New Build? This feature takes a look at the main benefits of New Build homes. Modern building regulations mean that New Builds from reputable housebuilders are constructed to a high standard and are provided with a 10+ year structural warranty from organisations like the National House Building Council (NHBC). When you move in everything will be brand new and in working order, there is no need to budget for repairs or renovation. There will also be a snagging process which gives you an opportunity to get construction defects resolved. Most New Build homes are provided with fitted kitchens with a cooker, fridge and washing machine of your choice pre-installed. For white goods, the developer will generally offer a range of options at competitive rates. Many New Build homes will also have built-in or fitted wardrobes installed in the principal bedrooms. You may also be able to choose kitchen unit colours, floor coverings and the design of wall tiles. As your property ages, you will also have to spend less on maintenance due to the use of the latest construction materials. For example,most New Build properties will be fitted with UPVC double glazing, fascias and soffit boards, which require no maintenance at all other than periodic cleaning. Current construction standards require the use of fire-resistant materials and linked smoke alarms. Some windows will be designed to open sufficiently to allow escape in the event of a fire and the electrical wiring will be protected by circuit breakers. developments also meet the criteria required for ‘Secured by Design’ approval. This scheme indicates that the development meets police standards for home security to guard against burglary and assault as a result of estate design, lighting physical, security and alarms. proofing, cavity wall insulation and loft insulation all prevent heat from escaping. Whilst at the same time, reliable central heating systems generate heat as efficiently as possible. The net effect is that New Builds are cheaper and faster to heat. Dual flush toilet cisterns and fitted showers all mean that domestic water use can be minimised. Also, heating and insulation efficiencies mean that New Build homes have a smaller carbon footprint. As a result New Build homes are greener than ever before. You will probably be at the end of the selling chain and many developers will offer part exchange deals, meaning that they buy your old house and take on the hassle of selling it. Also, on reservation the agreed price is set and your New Build property will be taken off the market – so there is no possibility of ‘gazumping’. 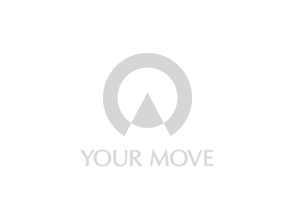 Your Move are specialists in the New Build field and are in an excellent position to help you find your perfect New Build home. We offer New Build properties UK wide and can also help to sell your existing property as quickly as possible and to find developers offering part exchange if required. We can help you no matter what your requirements might be.